Public Mobile has just launched a new promotion. Starting today, the Telus flanker brand is offering a bonus 500MB for 30 days on select 3G-only data plans. The offer is available to both new and current Public Mobile customers. To take advantage of the offer, launch the carrier’s calculator tool and select one of the six data buckets that are included in the promotion. For reference: those are the 2GB, 4GB and 6GB buckets on the 30-day side, and 6GB, 12GB and 18GB allotments on the 90-day side. 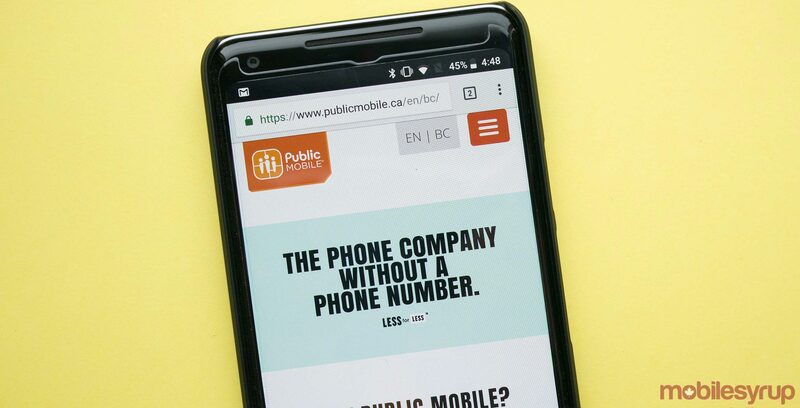 Alternatively, Public Mobile is making the offer available via one ready-made plan that includes Canada-wide talk, international text and 2GB (plus an additional 500MB) for $40 per month. No word on when Public Mobile plans to stop offering this promotion, though the discount brand cautions it’s a limited time offer. Until May 10th, current subscribers can also get $1 off their monthly bill when they refer a friend or family member to Public Mobile. Full details on the carrier’s referral offer can be found on its website.